The department cleared up a mystery about the signs in a weekend Facebook post. Bad news, Chaska residents: there&apos;s still a speed limit on Highway 41, even though some of the speed limit signs there are currently blank. To sum it up, the numbers on the speed limit signs on Highway 41 between Hundertmark Road and Pioneer Trail have been covered up, apparently causing some confusion locally. The Chaska PD seemed to be as much in the dark as everyone else, so they did some digging and found out the signs were covered over as part of a MnDOT "speed survey." The survey, the Facebook post says, will "determine what the speed limit should and will ultimately be" on that stretch of the highway, and that the signs will remained covered "until a final determination is made." So, on to the burning question: "Does this mean there&apos;s no speed limit??" "Before you get any crazy ideas, the answer is no," the department says categorically, noting that the location&apos;s current speed limit is still 50 m.p.h. The post generated a lively discussion from dozens of local users, with some thanking the department for clearing up the mystery, and others sharing their frustration with the speed study, the government in general, fellow drivers, road construction, and in some cases, each other. In other words, the usual. 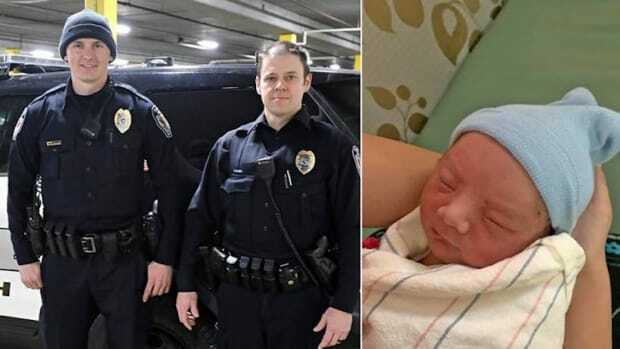 The birth was quite the surprise for a couple of local cops on Friday. Access to businesses in the area is limited. It all started with a Facebook complaint. The owner of Happy Kids Piñatas apologized after the image was shared on social media. Oh, hey. I didn't see you over there. Data suggests the drivers go about the same speeds anyway. They went viral, so they must be good.